The Weaving Pasture Rejuvenator Pro offers the ultimate in one pass pasture conditioning. This multifunctional tool provides three operations in one. 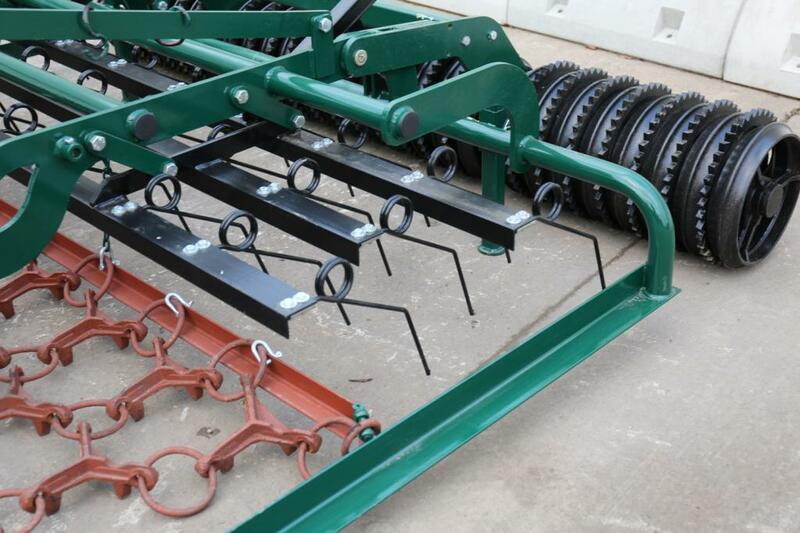 A pair of front heavy duty levelling bars support the three row drag harrow mat providing excellent surface levelling, removal of mole hills and spreading of manure. 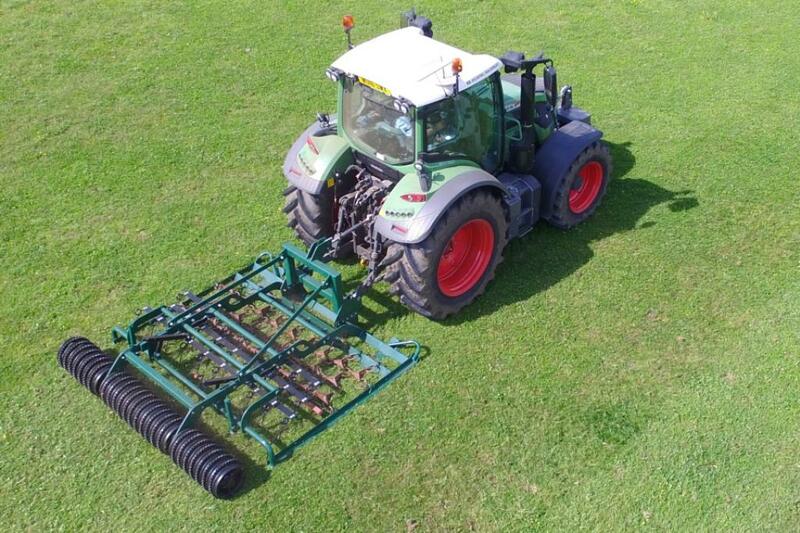 The drag harrow is followed by a three row tine section, equipped with heavy duty 10mm thick, height adjustable spring tines. 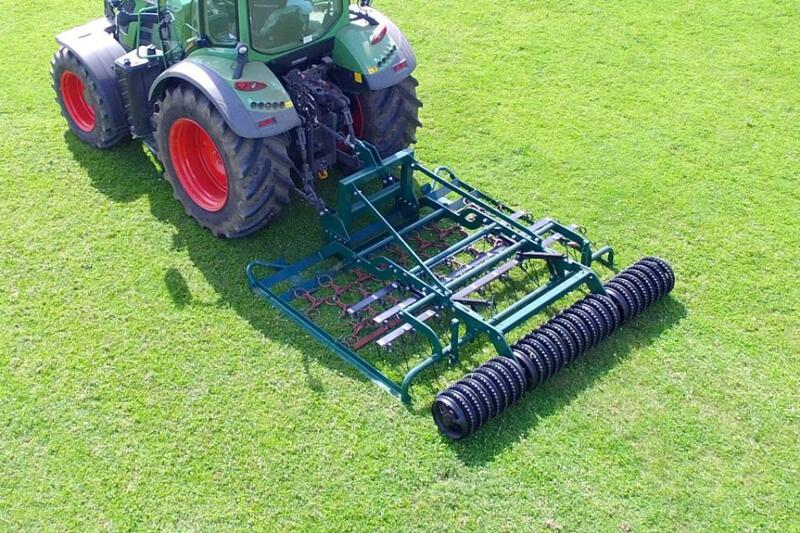 The tine section rakes and cleans the sward whilst improving air and water circulation stimulating growth, eliminating weeds and preparing the surface for seeding. An optional seeder can be fitted, the electric Stocks Fan Jet complete with a deflector plate allows small seeds to be broadcast before the heavy duty Cambridge roll consolidates any loose material and helps to retain moisture for new seed establishment.